Origin: Selection. Species is native to Europe, Asia Minor to Turkestan, Himalayas:open woodlands, roadsides. Special Features: Mostly biennial, might be perennial after an early pruning. 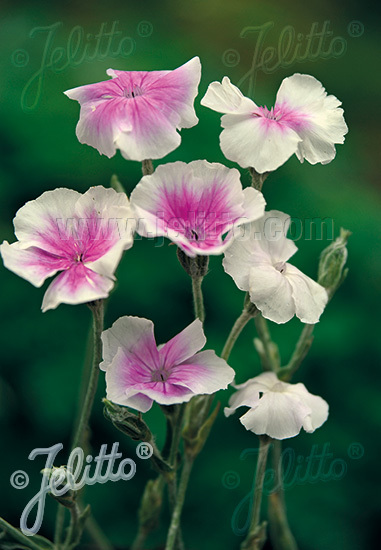 Variable white with red eye selection of the well known Rose Campion. Decorative white and silvery foliage. For natural and cottage gardens. Sows at a matching location itself. Easy to grow!